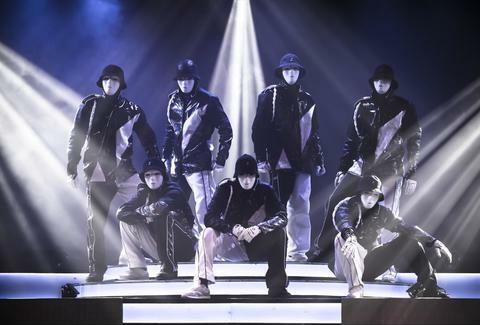 The Jabbawockeez switch casinos The Jabbawockeez have relocated to the MGM Grand from the Luxor across the street and are opening up a new show inside a renovated theater that has most recently been the home for Beacher’s Madhouse. The strange and silent dance group has switched up its show to fit the new venue. The first performance starts at 7pm. The Jabbawockeez switch casinos MGM Grand The Jabbawockeez have relocated to the MGM Grand from the Luxor across the street and are opening up a new show inside a renovated theater that has most recently been the home for Beacher’s Madhouse. The strange and silent dance group has switched up its show to fit the new venue. The first performance starts at 7pm. Toast to fall with a wine dinner Rick Moonen’s RM Seafood will host a five-course wine-pairing dinner at 7pm featuring six top selections from Napa Valley’s Whitehall Lane vineyards. The menu is designed to welcome the autumn season and includes new takes on foie gras, pan roasted salmon, and braised beef short rib. Reservations should be booked in advance at info@rmseafood.com. Toast to fall with a wine dinner The Shoppes at Mandalay Place Rick Moonen’s RM Seafood will host a five-course wine-pairing dinner at 7pm featuring six top selections from Napa Valley’s Whitehall Lane vineyards. The menu is designed to welcome the autumn season and includes new takes on foie gras, pan roasted salmon, and braised beef short rib. Reservations should be booked in advance at info@rmseafood.com. Learn about wine... and drink it with dinner For one-night-only, CRAVE will present a four-course dinner with wine pairings from William Hill Estate Winery in Napa from 6pm-9pm. Wine expert Samantha Butler will host the dinner while sharing her knowledge about each glass. Learn about wine... and drink it with dinner Crave American Kitchen & Sushi Bar For one-night-only, CRAVE will present a four-course dinner with wine pairings from William Hill Estate Winery in Napa from 6pm-9pm. Wine expert Samantha Butler will host the dinner while sharing her knowledge about each glass. Step back in time for dinner To celebrate 30 years in Las Vegas, Ferraro’s is serving up a special 4-course menu at the retro price of $30.30 for two weekends. 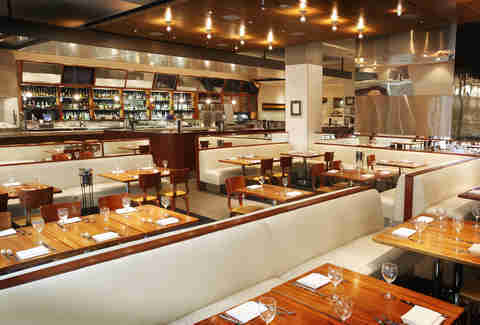 It’s a steal and a great way to check out one of the best Italian joints in Vegas without breaking the bank. Don’t worry about a limited menu. There are 11 choices for the main course alone. Saturdays & Sundays. Step back in time for dinner Ferraro’s Italian Restaurant To celebrate 30 years in Las Vegas, Ferraro’s is serving up a special 4-course menu at the retro price of $30.30 for two weekends. It’s a steal and a great way to check out one of the best Italian joints in Vegas without breaking the bank. Don’t worry about a limited menu. There are 11 choices for the main course alone. Saturdays & Sundays. Crash an indoor pool party Ghostbar Dayclub is kicking off the winter season with wild costumes, go go dancers, free cheeseburgers, and the infamous Unicorn Punch on the 55th floor of the Palms on Saturdays. Bottle service packages include not just booze, but also cans of Monster Energy and anti-hangover drinks... just to make sure you’ve got all your bases covered. Crash an indoor pool party The Palms Ghostbar Dayclub is kicking off the winter season with wild costumes, go go dancers, free cheeseburgers, and the infamous Unicorn Punch on the 55th floor of the Palms on Saturdays. Bottle service packages include not just booze, but also cans of Monster Energy and anti-hangover drinks... just to make sure you’ve got all your bases covered. Raise your glass and get outside A “Stroll & Toast” will be held at The District outdoor promenade, which means you can wander around and stare into storefront windows while enjoying samples of wine, beer, and food. Raise your glass and get outside Green Valley Ranch A “Stroll & Toast” will be held at The District outdoor promenade, which means you can wander around and stare into storefront windows while enjoying samples of wine, beer, and food. Drink a thousand wines in four hours Lee’s Discount Liquor holds its 13th annual Wine Experience with more than a thousand wines from Italy, Argentina, and plenty of other countries that love alcohol as much as we do. Enjoy tastings from 3pm-7pm. Drink a thousand wines in four hours The Tropicana Lee’s Discount Liquor holds its 13th annual Wine Experience with more than a thousand wines from Italy, Argentina, and plenty of other countries that love alcohol as much as we do. Enjoy tastings from 3pm-7pm. Help hang the holiday lights For the 22nd year in a row, Ethel M Chocolate Factory will brighten up its outdoor Cactus Garden in holiday lights. The switch will be flipped with a big celebration from 5pm-8pm featuring entertainment from Human Nature, the Jabbawockeez, and Sin City Opera. Stop by Ethel M in advance with a new unwrapped toy or non-perishable food item to receive a free four-pack of tickets. 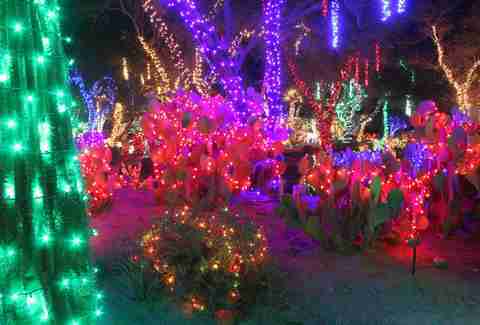 Help hang the holiday lights Henderson For the 22nd year in a row, Ethel M Chocolate Factory will brighten up its outdoor Cactus Garden in holiday lights. The switch will be flipped with a big celebration from 5pm-8pm featuring entertainment from Human Nature, the Jabbawockeez, and Sin City Opera. Stop by Ethel M in advance with a new unwrapped toy or non-perishable food item to receive a free four-pack of tickets. Save a few bucks on Veterans Day Current and former service members with a military ID are in for some serious savings: Station Casinos offers a free buffet at all Feast Buffet and Festival Buffet locations; and you can get the same deal at the Medley Buffet inside the Aliante casino; while Sammy’s in Henderson serves up a choice of complimentary hummus with grilled herb flatbread or garlic cheese bread with no other purchase necessary. The same offer can also be found at all Sammy’s Woodfired Pizza & Grill locations. Save a few bucks on Veterans Day Various locations Current and former service members with a military ID are in for some serious savings: Station Casinos offers a free buffet at all Feast Buffet and Festival Buffet locations; and you can get the same deal at the Medley Buffet inside the Aliante casino; while Sammy’s in Henderson serves up a choice of complimentary hummus with grilled herb flatbread or garlic cheese bread with no other purchase necessary. The same offer can also be found at all Sammy’s Woodfired Pizza & Grill locations. Hear the Mayor dish about the mob over dinner Former Mayor Oscar Goodman returns to his namesake steakhouse at the Plaza to spill more dirt about his days as a mob lawyer. A three-course dinner will include wine pairings and stories about former Stardust casino boss Frank Rosenthal and some of the most notorious crime figures in Vegas history. The dinner begins at 6:30pm, and you must book in advance by emailing RSVP@playlv.com. Hear the Mayor dish about the mob over dinner The Plaza Former Mayor Oscar Goodman returns to his namesake steakhouse at the Plaza to spill more dirt about his days as a mob lawyer. A three-course dinner will include wine pairings and stories about former Stardust casino boss Frank Rosenthal and some of the most notorious crime figures in Vegas history. 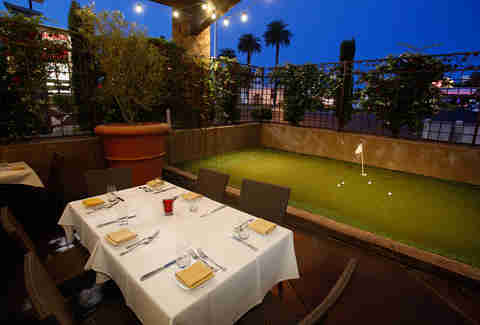 The dinner begins at 6:30pm, and you must book in advance by emailing RSVP@playlv.com. Prove that everything is better with bacon The Blue Ribbon Bacon Festival brings its ninth annual event to Las Vegas for the first time with bites featuring your favorite slice of pork. The Bacon Bite Challenge will take over the former Rain nightclub with 10 chefs, an Elvis costume contest, and a bacon-infused wedding from 5pm-10pm. 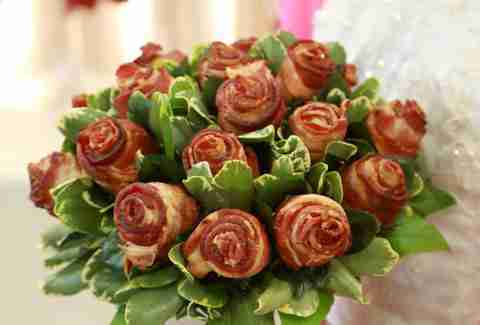 Prove that everything is better with bacon The Palms The Blue Ribbon Bacon Festival brings its ninth annual event to Las Vegas for the first time with bites featuring your favorite slice of pork. The Bacon Bite Challenge will take over the former Rain nightclub with 10 chefs, an Elvis costume contest, and a bacon-infused wedding from 5pm-10pm. Save on sushi... in secret Sushi Roku is celebrating its 11th anniversary in Las Vegas by offering 50% off all food during dinner hours for five days only. Here’s the catch: you must mention the anniversary deal to get the discount. So don’t forget! Save on sushi... in secret Forum Shops at Caesars Sushi Roku is celebrating its 11th anniversary in Las Vegas by offering 50% off all food during dinner hours for five days only. Here’s the catch: you must mention the anniversary deal to get the discount. So don’t forget! Sniff out Truffle Week Head to the Venetian where the Emeril Lagasse steakhouse will celebrate truffle season with eight new menu items. Both white and black truffles will be featured. Sniff out Truffle Week Delmonico Steakhouse Head to the Venetian where the Emeril Lagasse steakhouse will celebrate truffle season with eight new menu items. Both white and black truffles will be featured. Realize that chocolate is better with booze “Cheers to Chocolate” is back for the fifth year with sweet bites and samples of wine outdoors at The District from 6pm-9pm. Different restaurants around the valley will be represented, and there will also be entertainment from former Strip headliners MO5AIC and 90s tribute band Empire Records. Realize that chocolate is better with booze Green Valley Ranch “Cheers to Chocolate” is back for the fifth year with sweet bites and samples of wine outdoors at The District from 6pm-9pm. Different restaurants around the valley will be represented, and there will also be entertainment from former Strip headliners MO5AIC and 90s tribute band Empire Records. Go skating on the Strip Ice skating returns to the Cosmo for the fourth year in a row as the Boulevard Pool transforms into an outdoor ice rink. That also means the return of boozy winter drinks and fire pits where you can roast marshmallows and make your own s’mores. There will even be a light snowfall every 30 minutes to help you forget you’re actually in Las Vegas. Go skating on the Strip The Cosmopolitan Ice skating returns to the Cosmo for the fourth year in a row as the Boulevard Pool transforms into an outdoor ice rink. That also means the return of boozy winter drinks and fire pits where you can roast marshmallows and make your own s’mores. 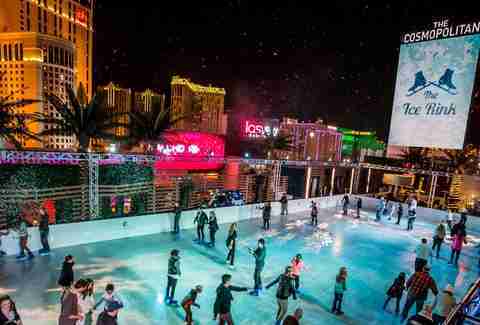 There will even be a light snowfall every 30 minutes to help you forget you’re actually in Las Vegas. Get behind the wheel of the most badass cars The Motor Trend Auto Show hits Las Vegas for three days with more than 300 of the newest cars and trucks from more than 20 automakers. Scope out the newest models for 2016 (and take ‘em for a spin) while getting a first look at the latest technology. Get behind the wheel of the most badass cars Las Vegas Convention Center The Motor Trend Auto Show hits Las Vegas for three days with more than 300 of the newest cars and trucks from more than 20 automakers. Scope out the newest models for 2016 (and take ‘em for a spin) while getting a first look at the latest technology.